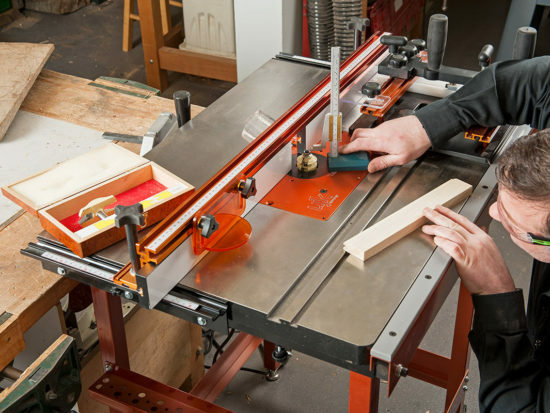 The planer with its derivatives will quickly process timber to a finished state and is arguably the most important purchase after a table saw. It’s the job of the planer to produce two flat and square datum surfaces; a broad face and edge, after which the board can be machined further to a required thickness and width. 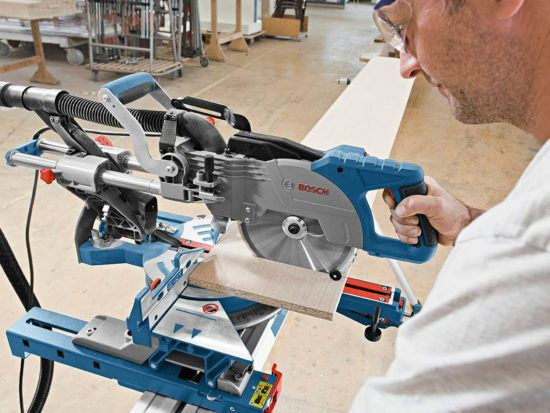 Where space is at a premium, the functions of a surface planer (or jointer) and thicknesser are combined into a planer/thicknesser. 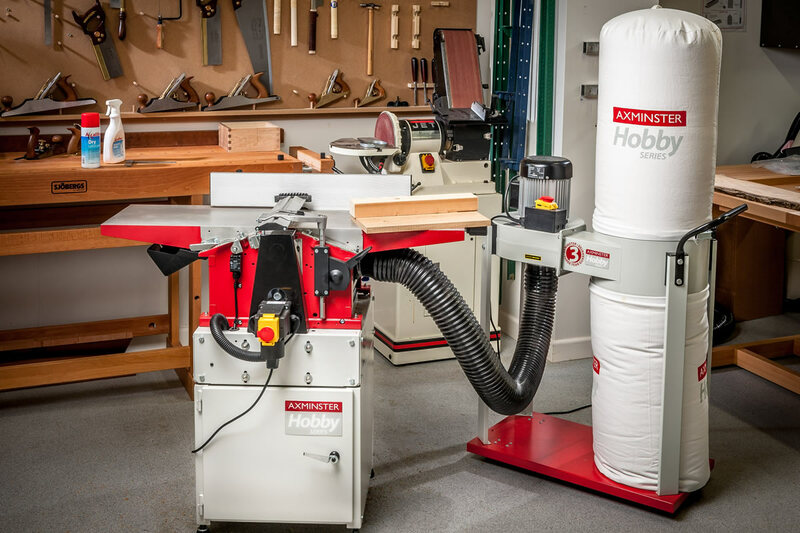 This offers a more practical option for the smaller hobby or trade workshop as it takes up far less valuable floor space. It’s also more economical to buy one machine rather than two. Where space is more generous, single function, separate machines offer a distinct advantage. 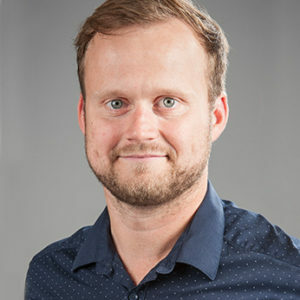 There may be multiple users or a large volume of timber to be processed where it becomes an inconvenience to repeatedly change from one function to the next. 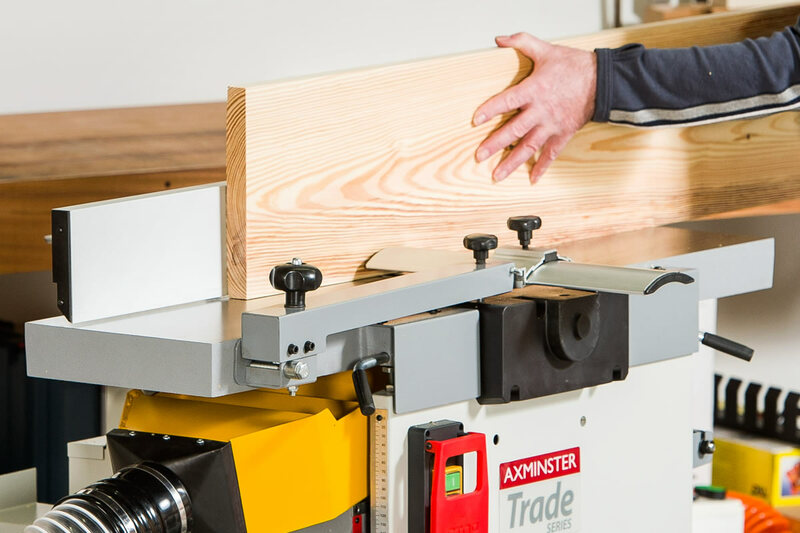 When considering a separate planer or planer/thicknesser, it’s advisable to look for large surfacing tables, especially if it’s anticipated that longer material will be used. 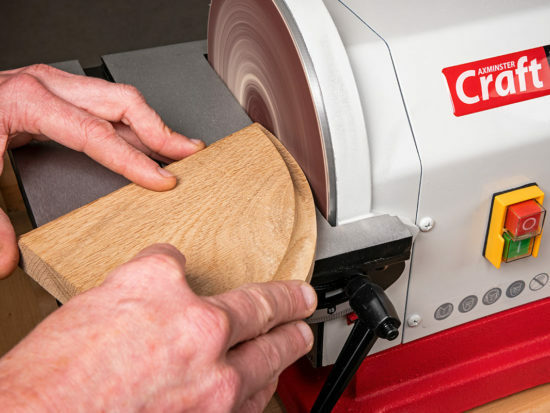 To prepare a datum side and edge, each at 90° to one another, long surfacing tables are advisable which then makes it easier to accurately machine boards to leave them true and straight. Once two datum faces have been machined, the timber is then passed through the thicknesser resulting in the remaining face and edge being machined parallel. In a planer/thicknesser, one or both surfacing tables, together with the fence are usually removed or re-arranged to allow access to the underside of the cutter block and the thicknessing table rises vertically to set the cutting thickness. In a dedicated thicknesser, the table remains stationary and the cutter block is dropped, or the table may be raised towards the cutter block, thus setting the thickness of the material to be planed. Cast iron is the preferred material for surface tables, as it adds mass to the machine and damps out vibration. Both tables will need to be machined dead flat and they will have extra cast webbing on the underside to provide strength and eliminate any movement. However, on a planer thicknesser where a table is removed for the thicknessing function, machined cast aluminium tables are perfectly acceptable as the material is both light and strong. A feature of all our tables is the noise reduction slots, which are adjacent to the cutter block and serve as a dual function; firstly to aid the airflow improving the extraction and secondly, to enable the machine to run more quietly. 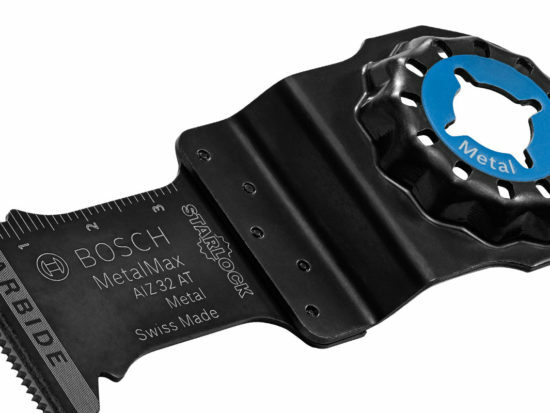 Accurate adjustment is also provided on one or both tables to allow for a variable depth of cut. Almost all Axminster machines have tables that are electrically interlocked to avoid starting if the cutter guard is not in place. 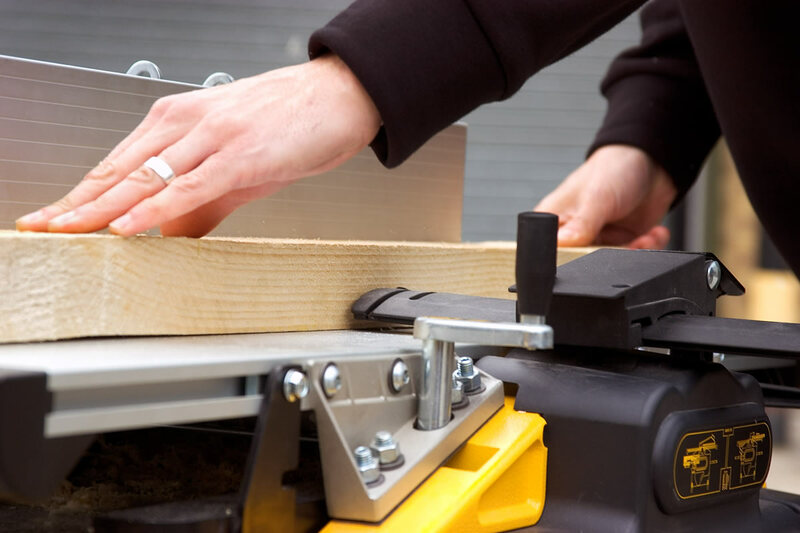 The fence is an integral part of all planers and planer/thicknessers, enabling a datum edge to be machined which is at 90° to the reference face, but it is easily adjusted and can be set to an angle other than 90° if required. The material of choice for most machines is extruded aluminium and on all the Axminster machines, changing from surface planing to the thicknessing mode means that the fence must be removed; a simple task which takes seconds. 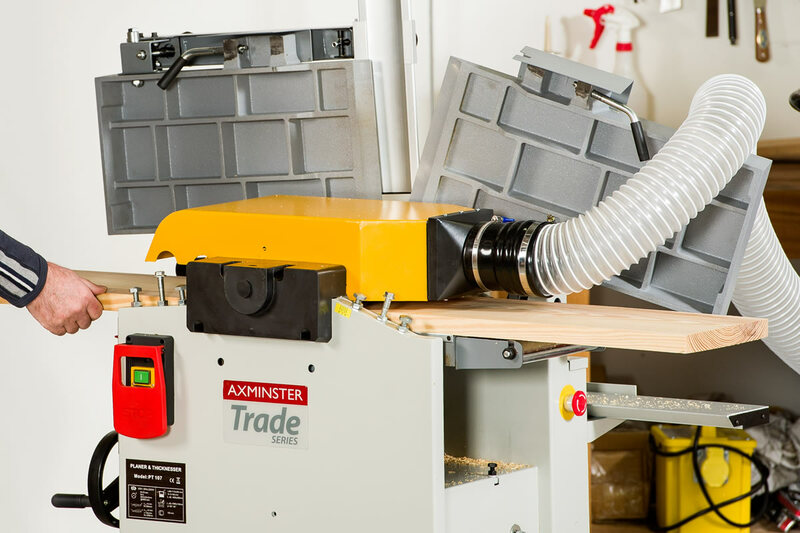 Planers, thicknessers and planer/thicknessers produce a vast amount of chippings and all our machines have suitable extraction ports for connection to a dedicated dust extractor.